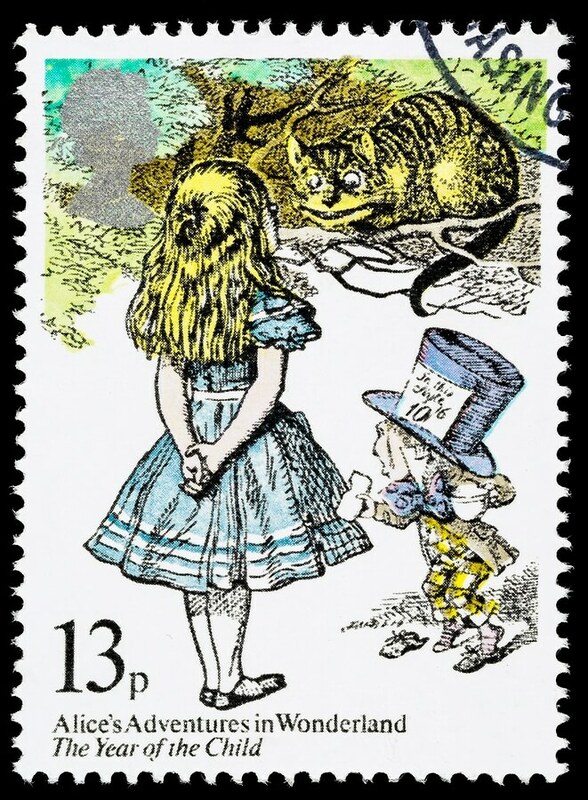 The Cheshire Cat and our favorite Beatle didn’t necessarily have business owners in mind when they suggested that an ambiguous destination is right around the corner if you just start walking, but they might as well have. In fact, if that cat were to host a business leadership seminar, he’d say much the same: that while all roads lead somewhere, sometimes somewhere is just another kind of nowhere. His thesis statement? That in business, clear goals matter. Without them, every choice is just another mysterious door in a rabbit’s warren of possibilities. Without them, the company ship wanders and drifts. Sure, maybe the currents will lead you to safe harbor. But you’re just as likely to end up crashed on a reef in the Maldives. You remember the big picture, don’t you? It’s why you started your business in the first place. A strategic plan is a written document that points the way forward for your business. It both lays out your company’s goals and explains why they’re important. The strategic planning process also helps you uncover ways to improve performance. It can, for instance, spark insights about how to restructure your organization so that it can reach its full potential. Developing new products, expanding operations, reaching into new market segments, solving organizational problems – as you grow your business, a well-designed strategic plan will dictate how you respond to opportunities and challenges of every color, shape and size. Of course, before you can respond, you have to be able to identify those opportunities. 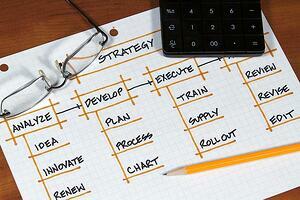 For business owners, the strategic planning process lights the way, and it’s easy to see why. A clear set of goals, when combined with an honest appraisal of an organization’s strengths and weaknesses, shows you what’s important, what’s relevant and what’s actionable in your environment. Every business owner needs to be able to make these kinds of distinctions, because the business landscape is constantly changing, and faster than ever before. New government regulations, changing workforce demographics, advancing technology and economic uncertainty affect every business differently. A strategic plan allows you to put these business challenges into perspective. It gives you the foresight you need to tackle them in a coordinated way. You’ll have a better view of the ways your business is affected by any particular problem, which in turn makes it easier to take control of your own future. Responding to the launch of a new product from a competitor. A technological upgrade on your production floor. Handling the requests of a new customer base. Upgrading the technical capabilities of your workforce. But your strategic plan is more than just a lens to look through. It does more than just focus your attention. It’s also essential for communicating your vision to investors, managers and employees, and it illustrates the process by which that vision will be made real. Through the strategic planning process, you’ll create a written document that clearly details the future plans and goals of your company. Your business allies won’t have questions about how they fit in, and they won’t be confused about how they can help you achieve your vision. 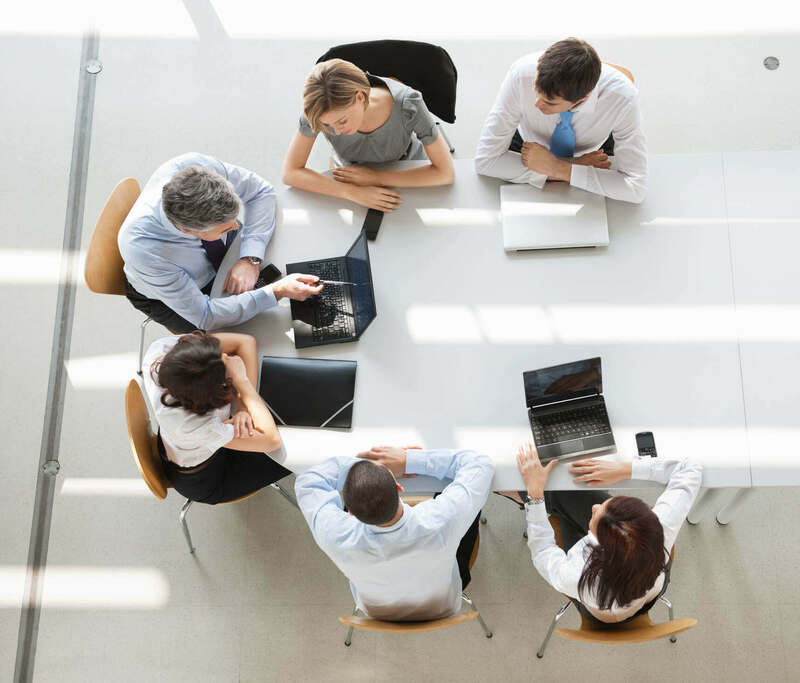 The strategic planning process ensures that everyone is on the same page. Remember, a plan of action that resides only in your head may work for a little while, but owning your own business involves collaborating with others. You’ll have to do it if you want to bring your business growth strategy to fruition, and as you grow you’ll do it more and more. The results of TAB’s Small Business Pulse Survey show the positive effect that the strategic planning process can have on your business. This survey was focused specifically on the importance of strategic planning, which allowed business owners to give real feedback about the usefulness of such plans. What did the survey find? Owners were broadly enthusiastic about the benefit and importance of strategic planning. Business owners who say they’ve got a high-quality strategic plan are much more likely to forecast sharp increases in profits and sales revenue over the next year than are owners who lack a strategic plan. More than three-quarters of the owners surveyed believe that a written strategic plan causes their business to perform at a higher level. And most business owners cite “sales revenue” as the business area most likely to benefit from the implementation of strategic planning. At the same time, only 9% of small business owners have a strategic plan that they’d describe as “excellent.” Only 16% of business owners review and update their strategic plan at least once a month. A full 22% have no written plan at all. If you want to grow your business, an updated strategic plan is the place to start. Putting real effort into your strategic planning process today, and keeping your plan up to date and relevant, gives you a continued competitive edge. 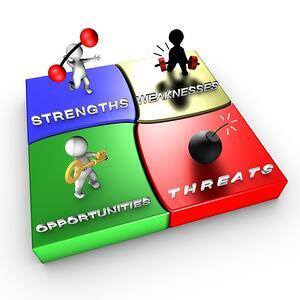 What Are the Features of Effective Strategic Planning? The initial strategic planning process is too often thought of as a one-time effort – many business owners are content to put their plan on the shelf once they’ve written it. Once a year, maybe, they’ll do an annual review. That may feel like a kind of engagement, but if you want your strategic plan to do what it’s designed to do – what it’s truly capable of doing for you– it’s just not enough. Allen E. Fishman, founder of TAB, places special emphasis on what he calls “Turning the Wheel.” In order to grow your business, Fishman believes, you’ve got to review your strategic plan as often as possible, checking benchmarks and timelines and revising strategy when new opportunities or obstacles make themselves known. A plan with ongoing relevance is vital to an effective business growth strategy. In other words: you’ve got to actually use it, and it’s got to be adaptable. A good strategic plan will do something else, too. It will reconcile your corporate vision with your personal vision. What do you want from your life in the future? How will those personal goals affect the future of your business? Are you hoping to sell your business in order to retire, or would you be happier to bring a relative in to run things? Maybe the everyday ins and outs of owning your own business are a labor of love and you plan on calling the shots as long as good health allows. When you have a clear understanding of your personal goals and expectations, the strategic planning process can give you a plan that meshes with those goals, a plan that makes realizing your vision a lot easier. Finally, a truly excellent strategic plan is built around an identifiable, overriding factor that gives your organization something specific to work towards at all times. This is called your Driving Critical Success Factor (DCSF), and it will act as a guidepost for all of your decisions while helping to keep your team focused. Say, for example, that you’re based in New England but you’re eager to break into a West Coast market. This would be your company’s DCSF, and communicating this goal clearly with management, employees and investors will help you take advantage of any opportunities that might come up in Seattle or Los Angeles. Your DCSF also gives you a clear way to measure progress. Since strategic planning is so crucial as you prepare to grow your business, in our next post we’re going to walk you through the process. We’ll focus on concrete methods that will result in a clear and concise written guide to your goals, methods and benchmarks for success. This will give you the strategic plan you need to meet the business challenges that await your organization on the road ahead. It will keep you from getting overwhelmed with today’s tasks at the expense of tomorrow’s opportunities. It’ll be your sextant when the clouds roll in – and in a pinch it’ll even serve as an effective deterrent against riddling cats.